Many older homes, and even some newer ones, have numerous little cracks, holes and spaces through which warm air escapes during the winter, and unwanted hot air enters during the summer. All these little drafts of air end up costing you big money in the end. You set your thermostat higher in the winter and lower in the summer in order to compensate, leading to higher utility bills year-round. Fortunately there is a solution. 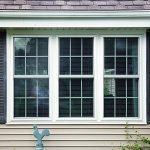 Adding weather stripping to your windows and doors can work wonders when it comes to the energy efficiency of your home. 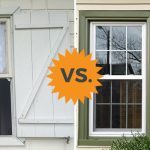 How Important Is Weather Stripping? The answer to this question is easy: very important. In homes that have not been weatherized, air leaks can account for up to 30 to 40% of the home’s overall heat and cooling loss. That’s a lot of wasted energy and unnecessary fuel costs, especially in today’s energy conscious world. And to make matters worse, all those drafts and leaks don’t just let air in and out. They can also damage the home’s insulation. Warm, moist air leaving the house during the winter months can dampen your insulation, reducing its effectiveness, and amplifying the heating (and cooling) loss you’re already experiencing. 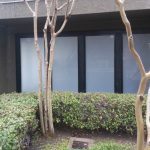 Weather stripping is a narrow piece of metal, vinyl, rubber, felt or foam that seals the contact area between the fixed and movable sections of a window or door. In doing so, weatherstripping prevents air infiltration around windows and doors through the elimination of gaps in your windows and doors when they are closed. If your home is prone to leaks and drafts, you should apply it to all exterior doors and windows, including doors that lead to attics and garages. 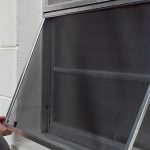 Need to find a pro for your weather stripping? Sponge or foam is inexpensive, but not very durable. It tends to deteriorate when exposed to weather and moisture, and it isn’t suitable for applications where friction or abrasion is commonplace. If you do choose foam for your weather stripping, keep in mind that neoprene sponge and vinyl foam are more durable than sponge rubber or polyurethane foam. Felt is also relatively inexpensive, but like sponge and foam, it’s not very durable. Don’t use it where it’s going to be exposed to weather or moisture, since it won’t hold up well to water damage. Also, keep in mind that felt tears easily and requires care in installation. If you do choose felt, think about purchasing all-wool varieties, since they’re generally more durable than other options. 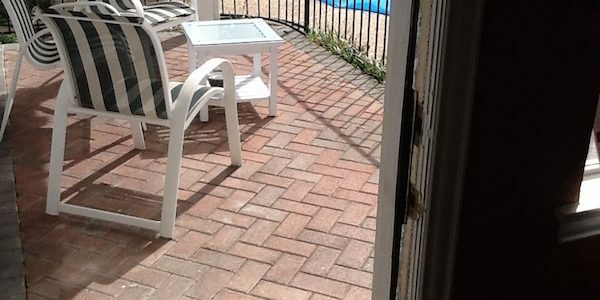 Vinyl is used in many types of weather stripping and is a cost effective and durable choice. It is usually more expensive than foam or felt, but it provides an excellent seal and lasts longer due to its excellent moisture resistance. 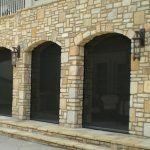 Magnetic Weatherstripping is also an excellent option, especially for steel doors and windows. The magnetic strip in the weatherstripping is drawn to the door or window when it closes, creating a near perfect seal against leaks and drafts. Magnetic weatherstripping is more effective, and more expensive, than other options. While installing weather stripping is always a good idea, it may not fix all of your home’s energy efficiency issues. If that’s the case, you might consider hiring a professional home energy auditor to come evaluate your home for potential areas of energy loss. Doing so is the only sure way to address your home’s overall energy efficiency, and in turn, it is the only guaranteed way to ensure big energy savings when the bills come due. 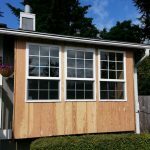 Low-e Windows – Are They Worth the Investment? 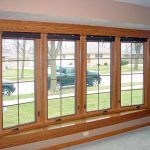 What Is the Difference Between a Single & Double Hung Window? I like that you mentioned that by using weather stripping on your home during the winter months, you can save up to 40% of your home’s energy. I am looking for ways to save on my energy bill these next winter months. I will be sure to look into getting weather stripping for my home.